The best advice we ever receive is often the simplest. Ranging from the profound – “live as if you were to die tomorrow, learn as if you were to live forever”, to the practical – “don’t put off until tomorrow, what can be done today”. I’m sure we can all think of many examples of little pieces of advice we’ve been given. It’s amazing how many of them stay with you – “don’t run while holding scissors” seems to jump to mind for me, not that doing so ever crosses my mind. But still, the point stands – I remember it! We believe this is also true for your money (not the scissors bit, the simplicity bit), so we have put together a simple guide which will take you five minutes to read and which sets out the facts you need to know about investing while based overseas. This guide, while short, could make the difference between financial success and quite catastrophic financial failure. Among the revelations contained within the guide is an explanation of why thousands of people see their investments lose up to 40% of their value over their lifetime – and how you can avoid having the same happen to you. We also let you in on some of the tricks which keep the pockets of financial salespeople lined and their clients’ pockets empty. 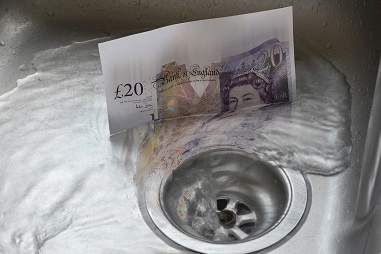 Complete the form below to download “5 minutes of reading to avoid pouring your money down a plughole”.